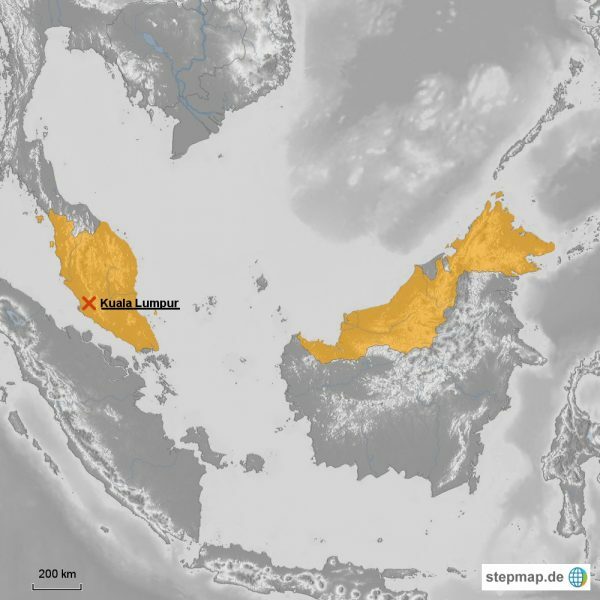 Malaysia was a former British colony that became independent in August 1957. So here, why not experience the Peninsula or the Malaysian Borneo? In the Peninsula, you can see a mixture of Chinese, Malay and Indians and its efficient and modern capital, Kuala Lumpur. Malaysian Borneo is shared with Brunei and Indonesia, where you find remote tribes, granite peaks, orang-utans and wild jungles. Malaysia is noted to be a combination of magnificent islands, luxurious resorts and colonial towns, making it a marvellous place to visit. Mulu Caves is situated in the Gunung Mulu National Park in Malaysian Borneo. Here you will pass fabulous karst and cave formations in a mountainous rainforest setting. You will find here the largest underground cave in the world – the Sarawak chamber. The chamber is said to accommodate around 40 Boeing 747s, without having its wings overlap. There is also an immense colony of Wrinkle-lipped bats in the nearby Deer Cave with its spectacular exit in the evenings to look for food. In Sepilok Rehabilitation Centre, you will find rescued orphaned baby orang-utans, which are trained and released to survive once again when they return to the wild. The Sepilok Rehabilitation Centre is situated amidst the Kabili-Sepilok Forest Reserve, which is a virgin rainforest, wherein around 60 to 80 orang-utans live freely in the reserve. Sepilok Rehabilitation Centre is actually a Sabahs top tourist destination and a must stopover in your Malaysian tour. For budget travellers, they can visit the Perhentian Islands that is situated off the coast of north-eastern Malaysia, not far from the Thai border. You will find here few of the world’s best beaches and great diving spots with plenty of affordable accommodation. Here is the Perhentian Kecil or Small Perhentian and the Perhentian Besar or Big Perhentian, which have turquoise blue sea and palm covered white sandy beaches. Langkawi is known as an archipelago of 99 islands on Malaysia’s west coast. Langkawi has long white beaches with its interior of craggy mountain peaks and jungle covered hills. It is supposed to be Malaysia’s most heavily promoted tourist attraction, where popular beaches are found on the west coast, with a wide array of restaurants, eateries and a number of the best resorts in Langkaw. The 88-storey twin building is the capital’s crown jewel. Petronas Twin Towers, which remains the tallest twin buildings in the world, is impressive by day and stunning at night. The structure was constructed largely with reinforced concrete, and its glass and steel façade are designed to correspond motifs found in Islamic art. Petronas Twin Towers stands as a reflection of Malaysia’s Muslim religion. Mount Kinabalu is noted to be the highest mountain between the island of New Guinea and the Himalayas. Mount Kinabalu is renowned globally for its immense biological and botanical species biodiversity. A regular traveller can easily climb the main peak of the mountain, provided he is physically fit, and no mountaineering equipment may be required but he has to come with a guide at all times. Pulau Tioman is a tiny island situated off the east coast of peninsular Malaysia. In the 1970s, Time Magazine selected Pulau Tioman as one of the world’s most beautiful islands. Travellers seeking a taste of paradise have come to the island ever since. Here you will find countless white coral reefs, making it perfect for scuba diving. Taman Negara is a 130-million years-old virgin rainforest longing to share her proud heritage. It is the best place for travellers who enjoy wildlife viewing, rock climbing, jungle trekking, fishing, camping, hiking and more. Taman Negara is a well- established and most popular eco-tourism in Malaysia. You will find in Georgetown the beauty and a rich history, making every tourist flock here all year round. Here you will see the magnificence of the famous Kapitan Keling Mosque, Cheong Fatt Tze Mansion and many golden-crowned Buddhist temples. You can also find museums featuring the rich historical treasures of Malaysia. There are also restaurants offering classic Malaysian cuisine and a number of shopping malls, which guarantee visitors that they can find everything here. Cameron Highlands is one of Malaysia’s largest hill stations, covering about the size of Singapore. Cameron Highlands is considered the country’s highest point mostly accessible by road, where tourists are lead through the forest to waterfalls and other placid spots. Aside from providing jungle walks, the sanctuary is renowned for its tea plantations where one can book for a number of tea factory tours.